1. As a work field trip, the creative team went to The Leonardo museum yesterday afternoon. Did you know they have a huge collection of photos from the civil rights era? It was really moving to read about something that changed so monumentally less than 50 years ago. You may also be moved to donate to the rescue organization. I have felt off for the last few weeks, and I can’t tell if it’s because of the unsettled weather, having less time to myself, professional issues, or just not going to enough yoga classes with my awesome teacher. Above all, be at ease, be as natural and spacious as possible. Slip quietly out of the noose of your habitual anxious self, release all grasping, and relax into your true nature. Probably because of their visual similarity to “chose” and “choose,” people tend to confuse “lose” and “loose” as different tenses of the same word (the way “chose” is the past tense of “choose”). So how do you keep it straight? You can think of the adjective/verb difference, or you can use this tip: If you mean “to cease to have something,” use lose with one O. You can remember it by thinking that it has ceased to have the second O. 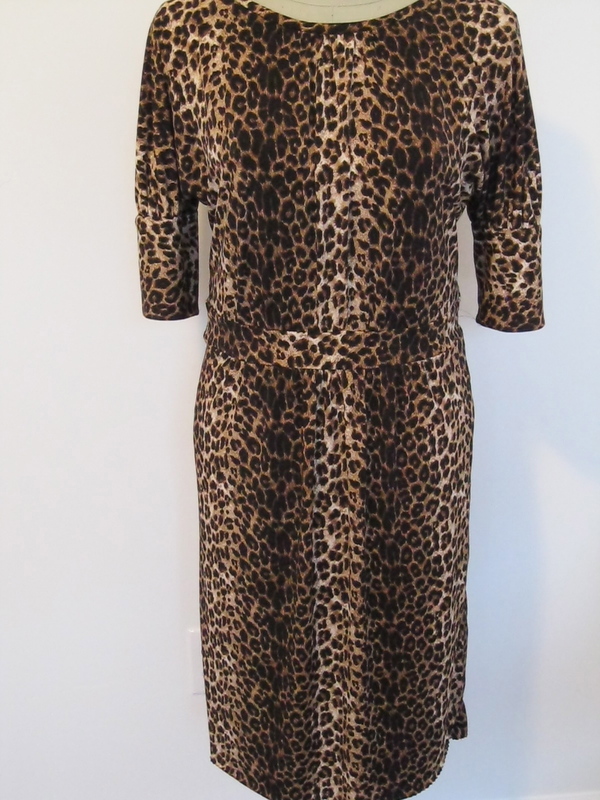 So yet again, a leopard-print knit dress has not turned out the way I pictured it. But on the bright side, I think I can fix it. 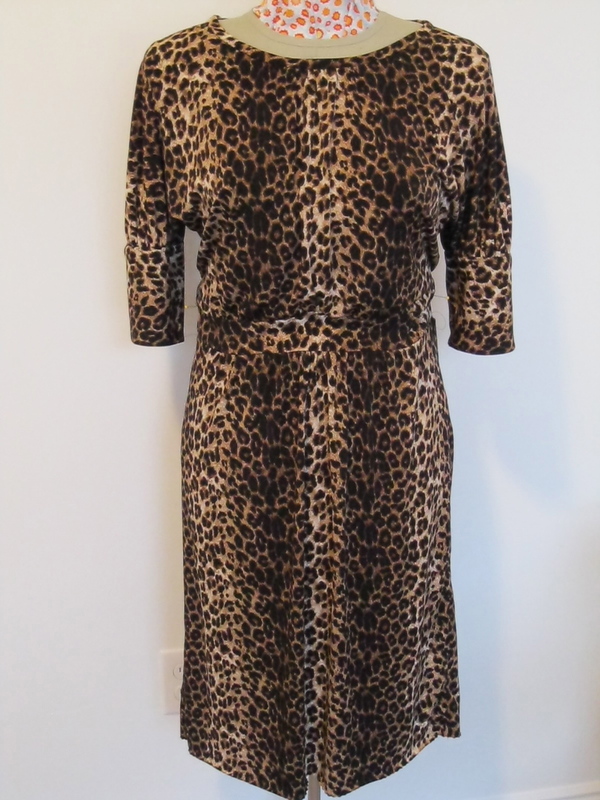 Here it is with the skirt attached. 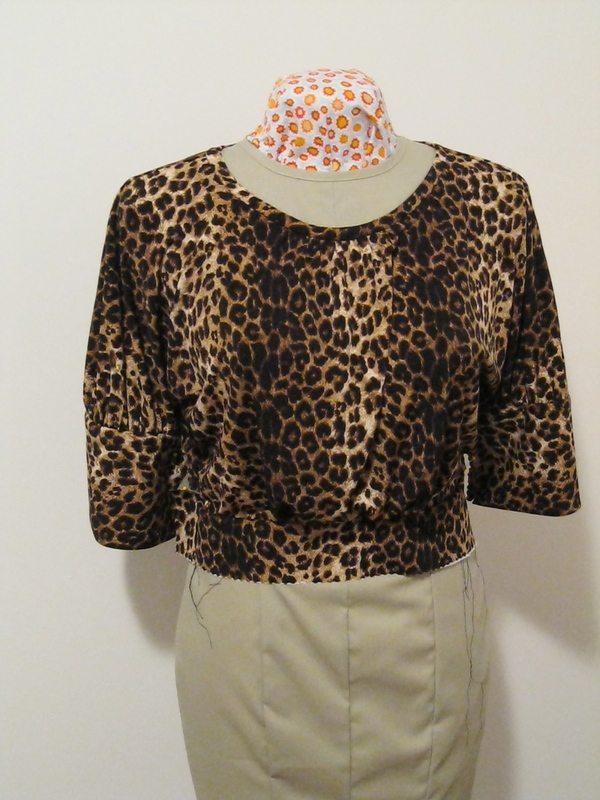 See how the top part blouses out above the waistband and the skirt a little? Yeah, that effect is being accomplished with pins right now. But as I said, I think I have a fix for this: I’ll add some elastic in a channel behind the waistband to keep things where they should be…just not this week. You can only struggle so much with something, right? 1. I took the day off today. So far I have slept in and received a gift of cognac-fig ice cream made from goat milk (thanks, Amber!). If these things have happened before 10:00, what greatness will the rest of the day hold? Another new supernova has been found as of March 16. This one in barred spiral galaxy M95, which is roughly the size of our own Milky Way galaxy and about 37 million light years away. 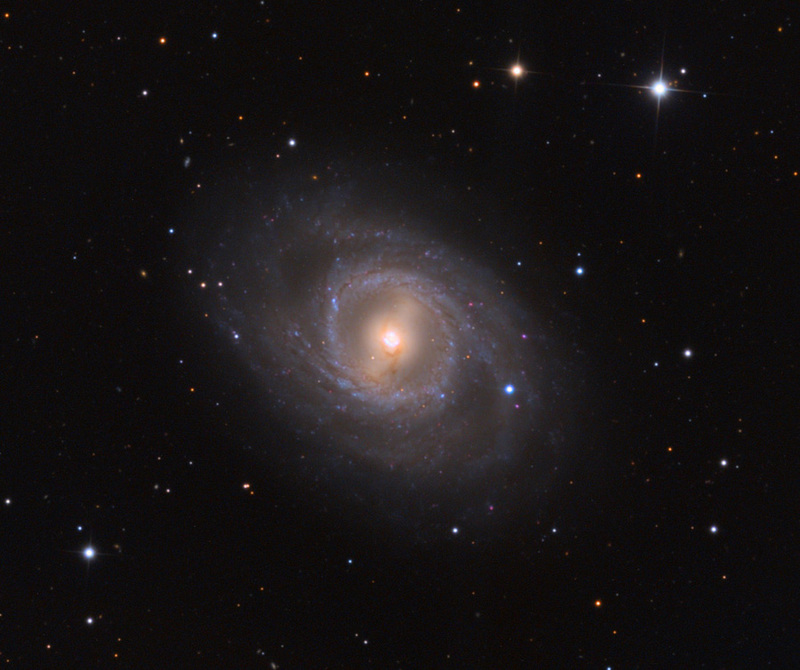 Supernova SN 2012aw is the really bright point at the end of the spiral arm that goes down and to the right–see it? Oh, space. You provide such good perspective. It’s Bach’s birthday today, in 1685. Here’s a happy little piece from the sonatas and partitas for unaccompanied violin: the Prelude from the E Major Partita. I love the ending, starting about 2:40. The E Major Partita has always sounded like spring to me, which is appropriate since yesterday was the equinox. The pattern I’m using is for a woven, not a knit, but I the only modification I’m making for the knit is I’m leaving off the side zipper, as a knit should stretch enough to pull it over my head. I’m happy to report “so far, so good” on the fit. Bonus Ringo at the end. Mr. Conductor!